Traditional German Currywurst, Served With Chips On Disposable Paper Tray. Wooden Table As Background. Фотография, картинки, изображения и сток-фотография без роялти. Image 57915647. 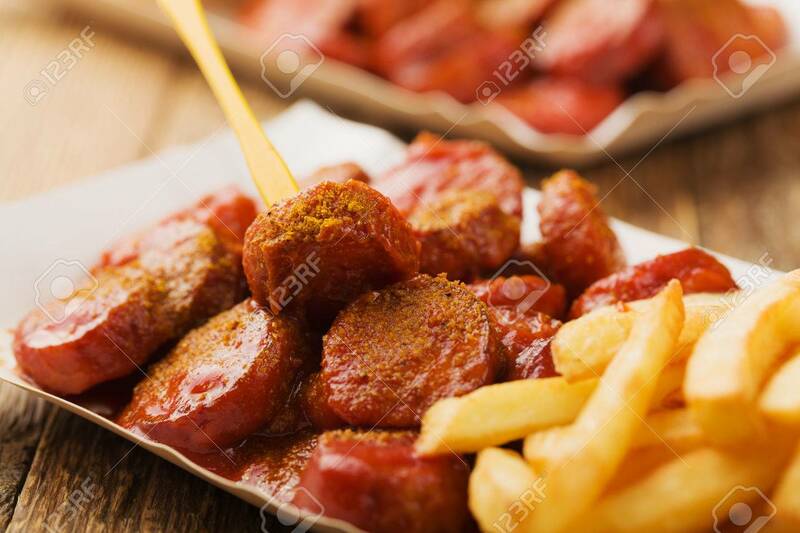 Фото со стока - Traditional German currywurst, served with chips on disposable paper tray. Wooden table as background. Traditional German currywurst, served with chips on disposable paper tray. Wooden table as background.